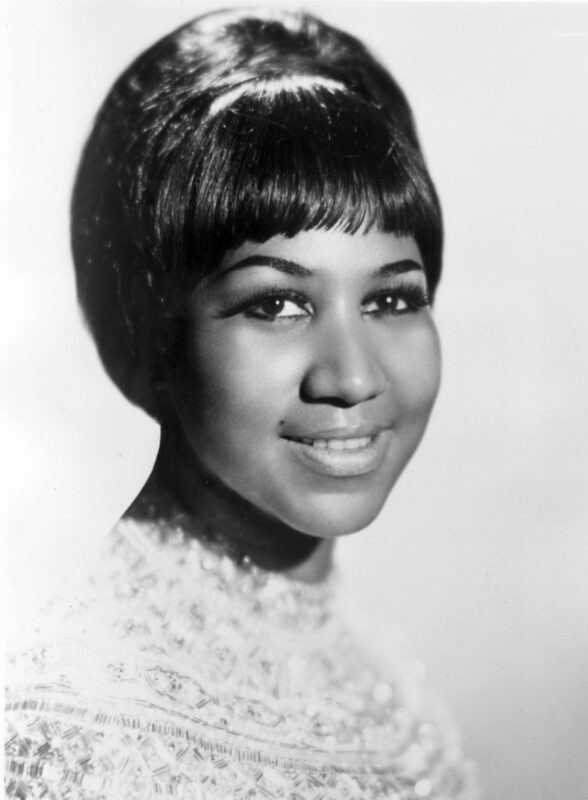 On March 25, 1942, Miss Aretha Louise Franklin was born in Memphis, Tennessee. 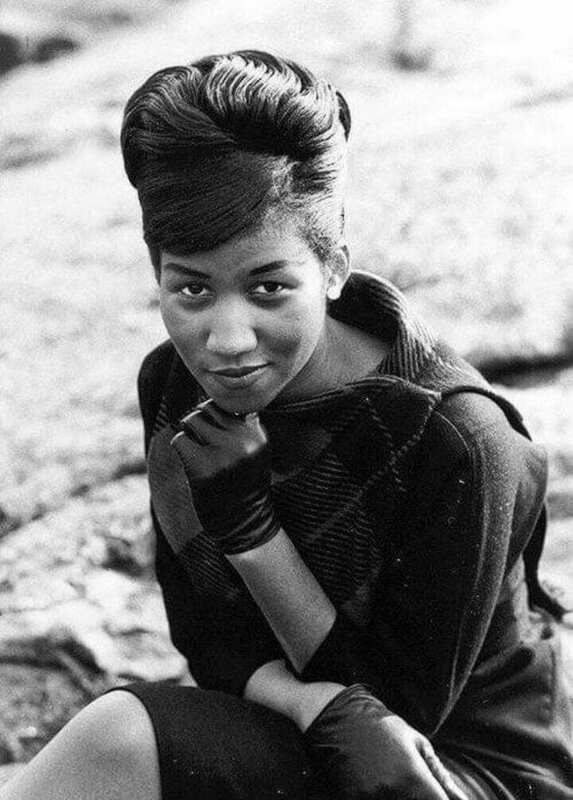 Born to a celebrated Baptist minister and an accomplished singer and pianist, Aretha came from loving but humble beginnings. 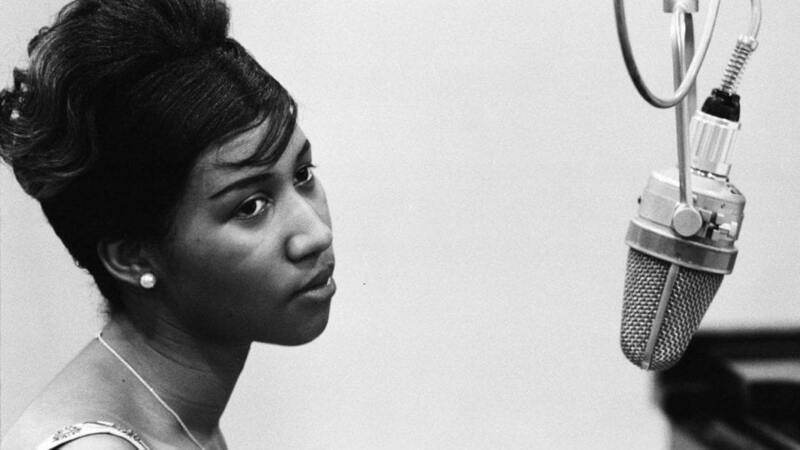 After the death of her mother, Aretha turned to music as a means to cope with the loss. She learned to play the piano by ear, finding an early passion music. 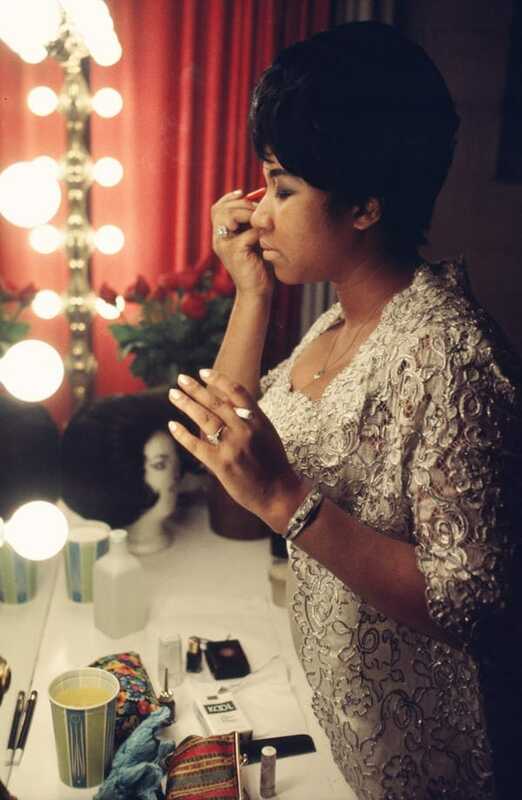 At the tender age of 13, her father began to manage Aretha, recognizing his young daughter’s profound talent. She began to perform alongside her father at churches, singing traditional gospel soul tunes. Despite becoming a mother at such an early age, the young starlet would not let her ambitions be dampened. At the age of 14, yet another surprise would disrupt her plans. At age 14, Franklin would fall pregnant once again. The daughter of such a devout man, the news raised eyebrows amongst the local community. 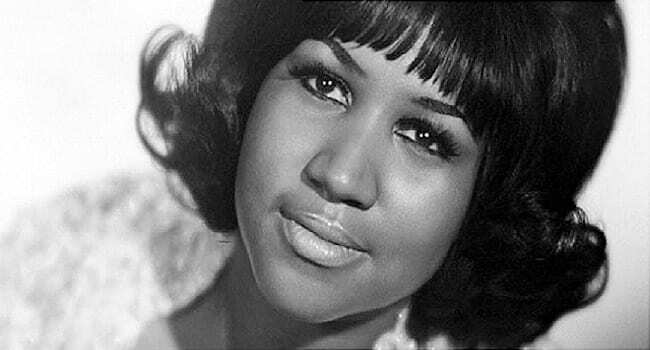 At the height of her fame, Aretha would rarely mention her teenage pregnancies. Little is known about the star’s first two sons. 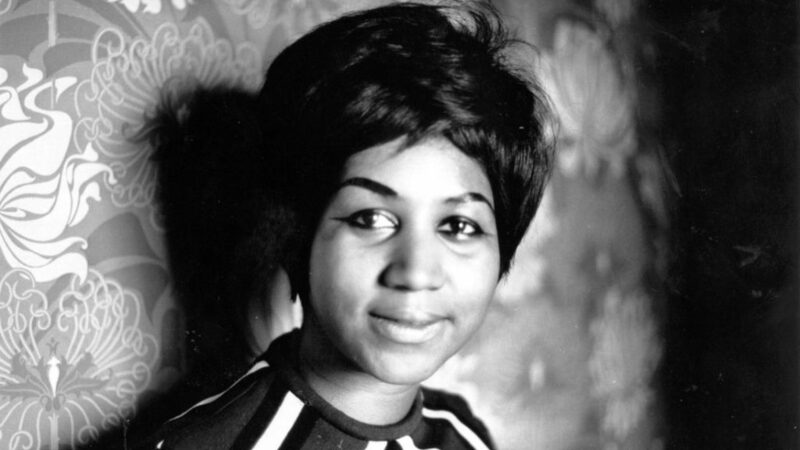 At age 16, now a mother of two, Aretha would sign her first record deal with Columbia Records. The early sixties brought with it newfound success for the young songstress as well as a new love. Franklin married Theodore “Ted” White, in 1961 at age 19. The young lovers had met in the mid-fifties and would later parent Franklin’s third child. Though the new decade would bring professional triumphs, her personal life would soon suffer. 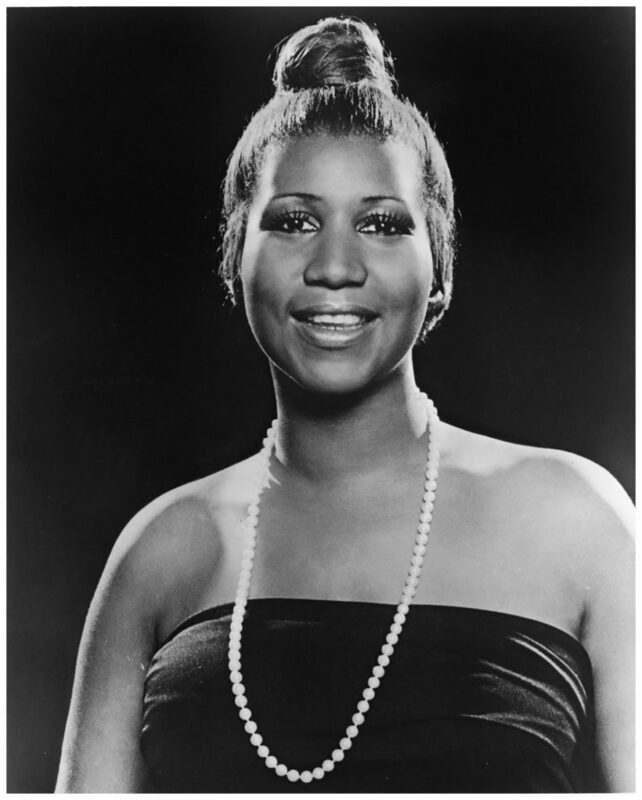 Aretha broke into the mainstream, veering away from gospel and reaching secular audiences with her unrivalled vocal range. 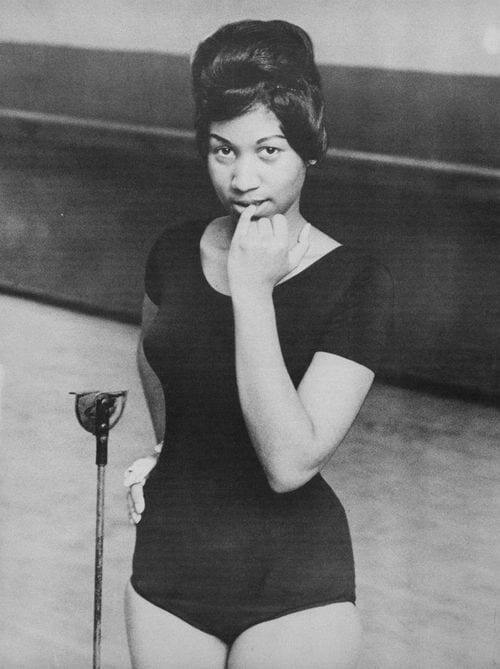 Her voice defied genre – it touched on jazz, R&B, soul, funk, gospel and doo-wop. Amidst her career highs, life at home proved to be troubled. 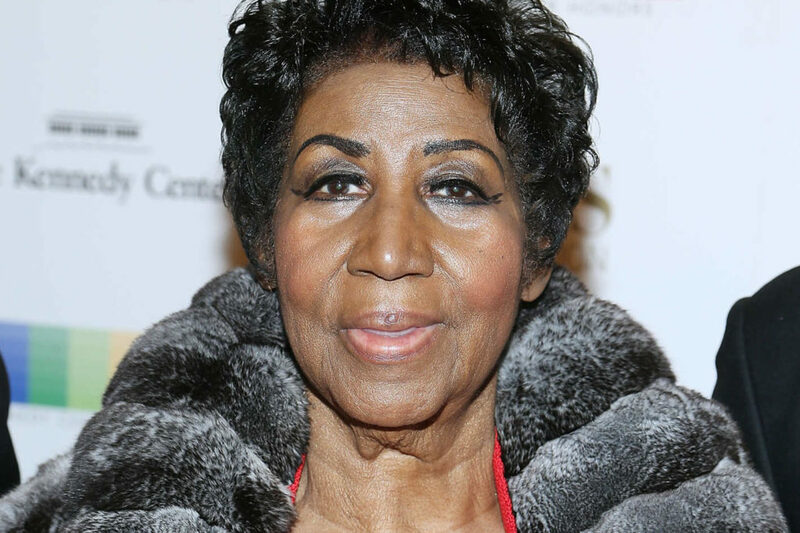 Aretha’s marriage was in shambles with numerous reports surfacing that her husband was violent. 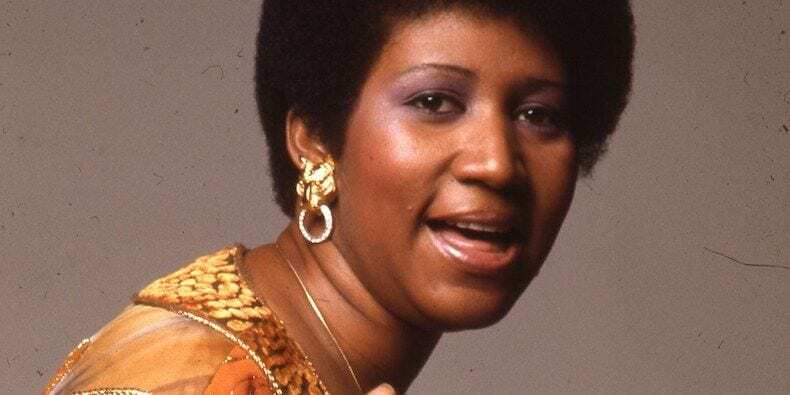 Three albums and increasing critical acclaim soon followed, after a spectacular performance at the Regal Theater in south side Chicago, a radio personality announced Franklin should be crowned, “the Queen of Soul.” Aretha had found her throne, but her marriage would soon deteriorate. Franklin separated from White in 1968, divorcing him in 1969. 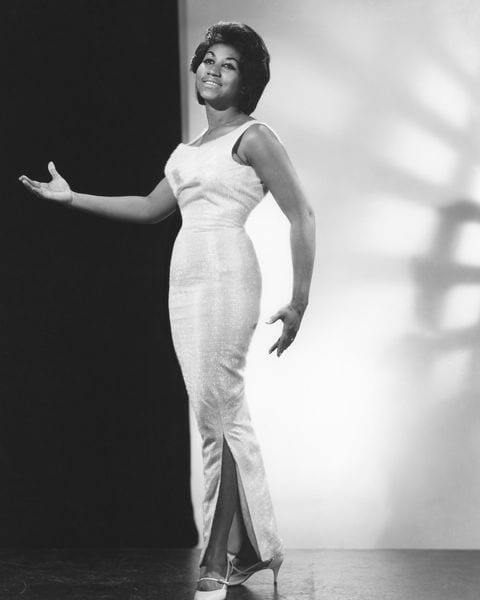 Real commercial success still eluded the great Miss Franklin. In the mid-sixties she decided to change recording studios, moving over to Atlantic Records. 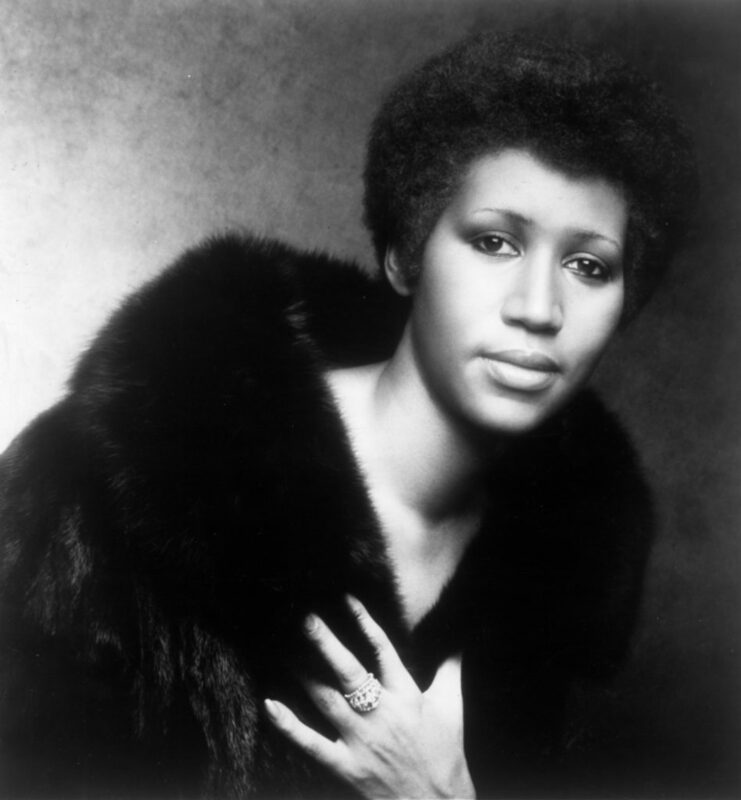 Finally, popular success came round with the release of her following tracks 1967’s “Baby I Love You” and “(You Make Me Feel Like) A Natural Woman.” The following February Aretha would win two Grammys. Indeed, the Queen had arrived. 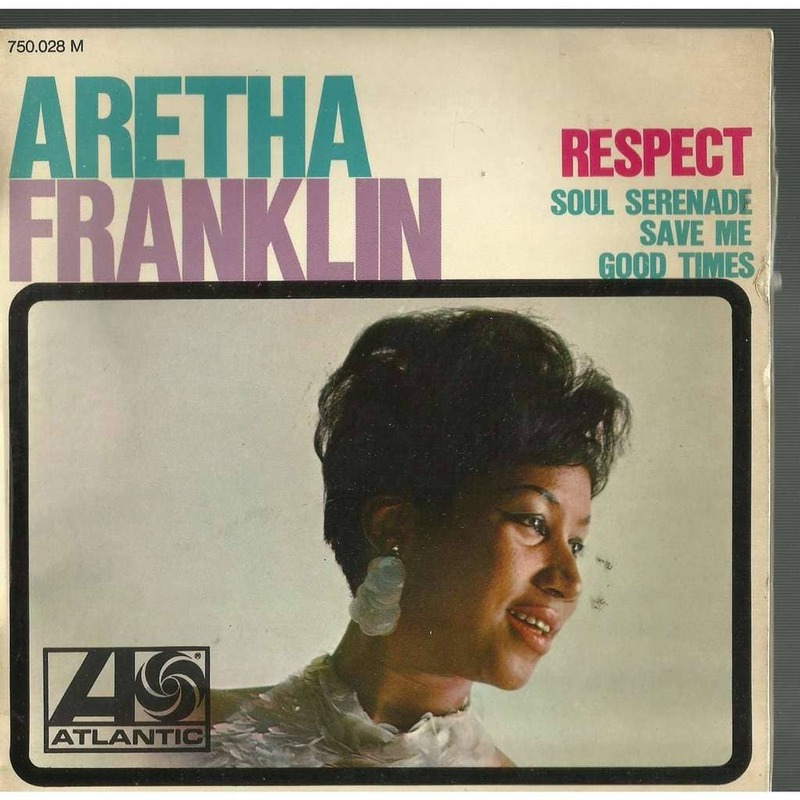 On February 16, Franklin was honored with a day named for her and was greeted by longtime friend, the great Martin Luther King Jr. who gave her the SCLC Drum Beat Award for Musicians. Two months following the ceremony, King would meet his untimely end. Forever touched by her friend’s life mission for civil rights, Aretha continued to spread a love for her proud heritage to millions. Franklin exploded in the early 1970’s. 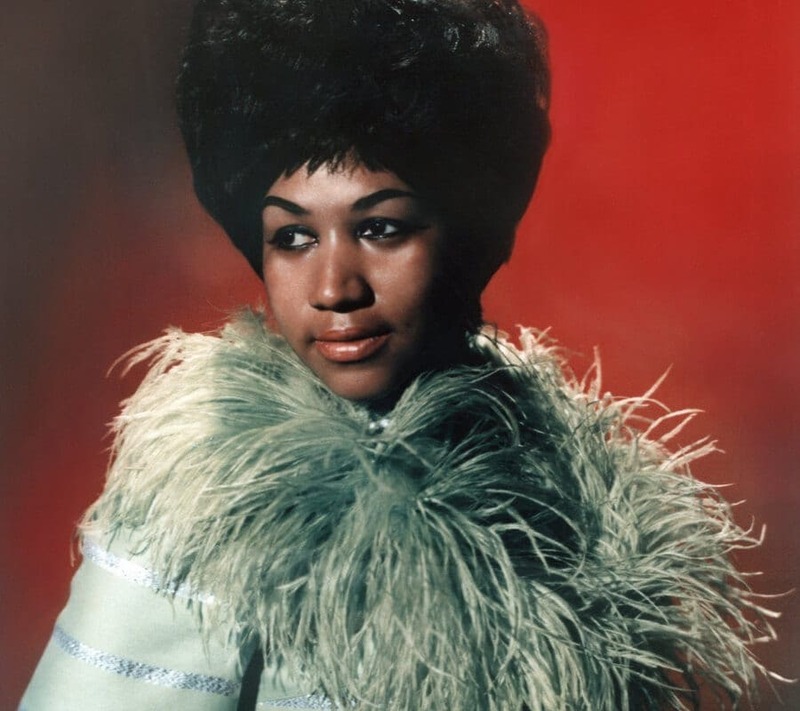 She produced a string of chart-topping hits including “Spanish Harlem”, “Rock Steady” and “Day Dreaming” while her 1972 gospel album, Amazing Grace, sold more than two million copies. Sadly, the Queen’s joy was to be short lived. Unbeknown to her, her career was about to plummet. Franklin’s career began to experience problems while recording the album, Hey Now Hey, which featured production from one of the world’s most famous producers, Quincy Jones. Despite the A-list collaboration, the album would be an embarrassing flop. The singer found consolation in the arms of actor Glynn Turman. The two would wed in her father’s church in 1978. Franklin’s follow-up albums for Atlantic Records, including Sweet Passion (1977), Almighty Fire (1978) and La Diva (1979), bombed on the billboard charts. A disillusioned Franklin would leave the company in 1979. In 1980, Franklin signed a new contract with Clive Davis’s label, Arista Records. 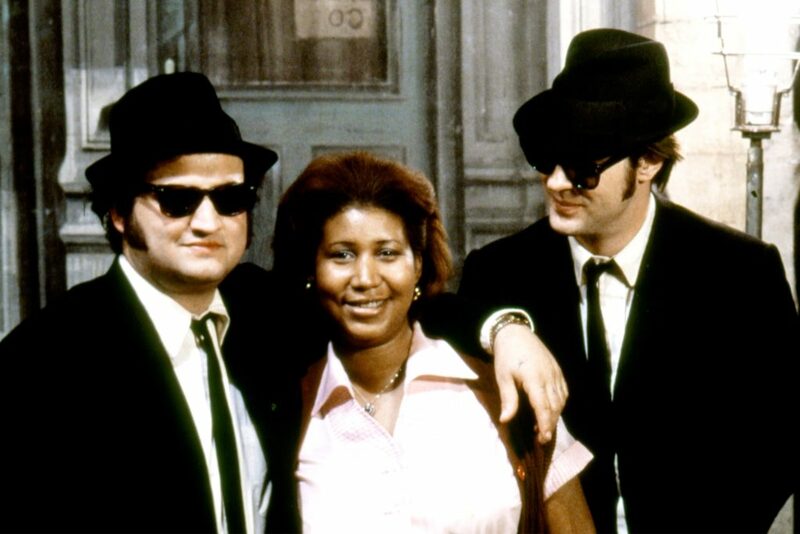 The singer redeemed herself with an iconic cameo in the comedy musical The Blues Brothers. After divorcing her second husband in 1984, the Queen would return in 1985 with a vengeance with her album, Who’s Zoomin’ Who? , the 33rd album of Franklin’s would go platinum. 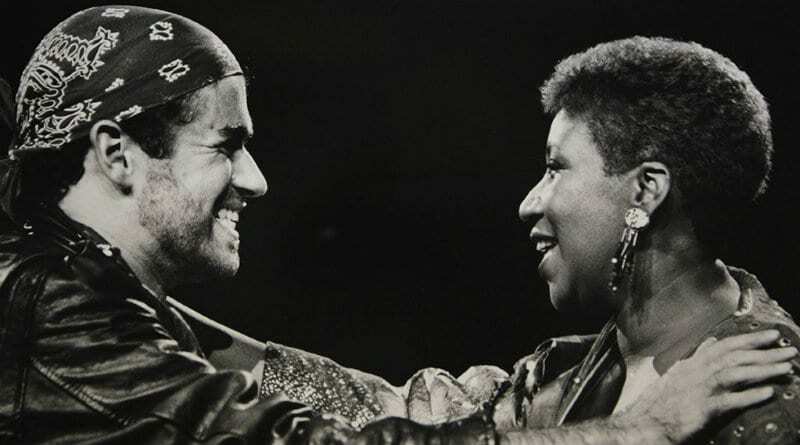 Her following album, Aretha received rave reviews with the hit singles “Jumpin’ Jack Flash”, “Jimmy Lee” and “I Knew You Were Waiting for Me”, her worldwide number-one duet with George Michael. In 1987, Franklin would make history. The Rock and Roll Hall of Fame had been established in 1983 but had yet to honor a woman. 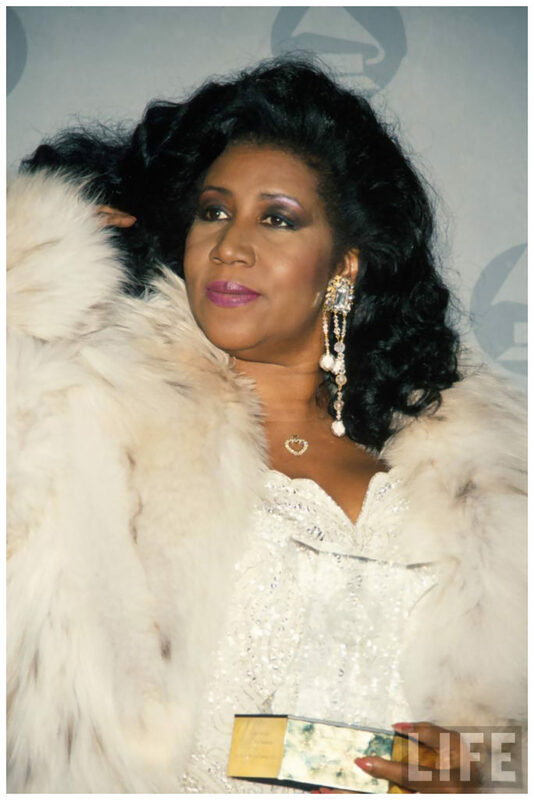 Aretha earned the incredible distinction of becoming the very first woman to be inducted into the elite club of superstars. She was inducted by Rolling Stones member Keith Richards. Though her professional and personal life had always been tumultuous, few knew that Aretha’s health was declining as the years passed. She had struggled with weight issues since childhood. 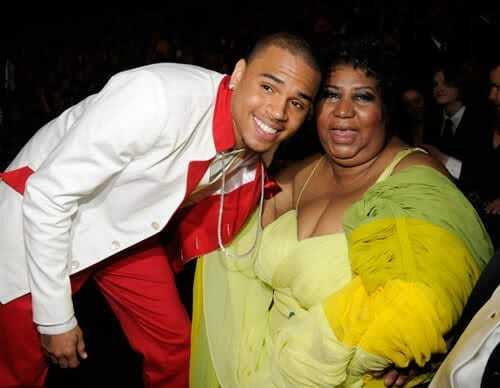 Her fluctuating weight would prove to be a grave concern for the singer’s health. The star was also a self-proclaimed chainsmoker. In the early 90s, Franklin would quit her extensive nicotine habit since she believed it was ‘messing with her voice.’ Though her voice had always had a famous raspy character, her smoking was reportedly effect the quality of her voice. With the encouragement of her doctors, the Queen would kick the habit. But other health problems soon plagued the star. The star’s weight had always fluctuated but after quitting smoking, the issue became undeniable. Her weight ballooned and would cause health concerns but the Queen would keep on singing. 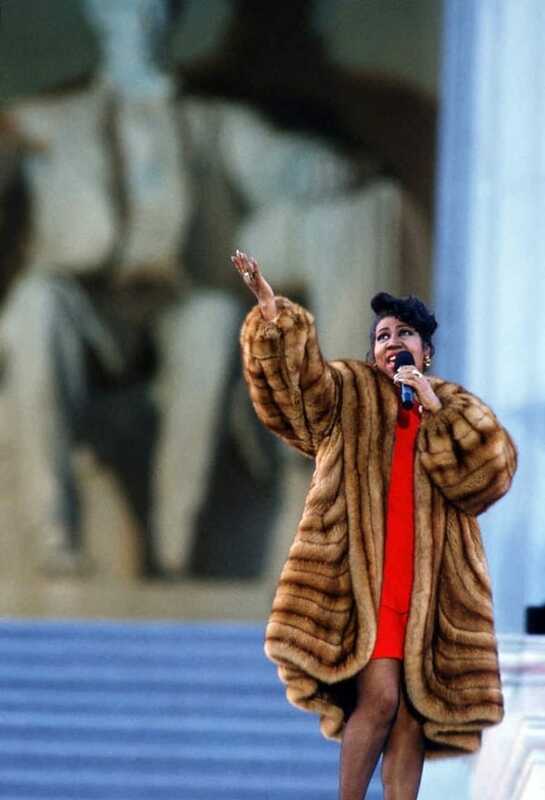 She made a return appearance at the White House, performing at Bill Clinton’s inauguration in 1993. She had done so before in 1977, under President Jimmy Carter. Franklin’s 1991 album, What You See is What You Sweat, flopped on the charts. 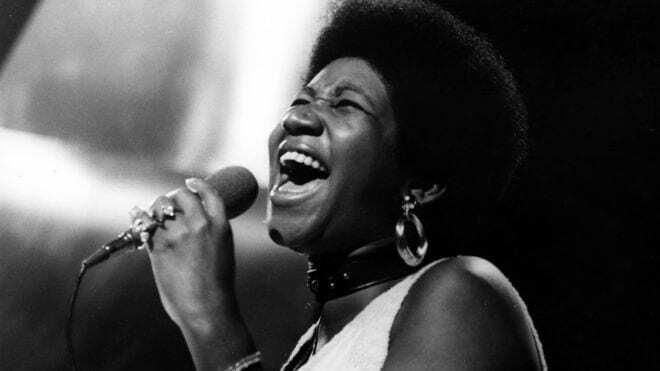 The decade was not particularly fruitful, but despite fluctuating commercial success, Franklin had undoubtedly cemented her place in the music world as one of the female voices to be reckoned with. 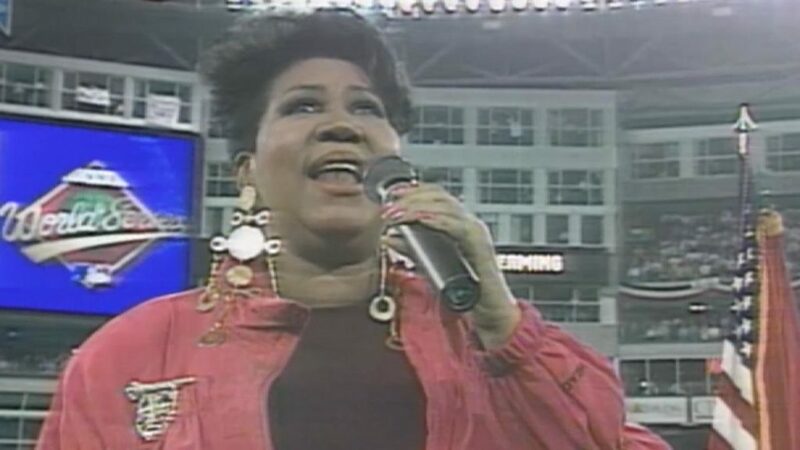 She sang the national anthem before Game 1 of the 1993 World Series at the SkyDome, creating an unforgettable moment for millions. 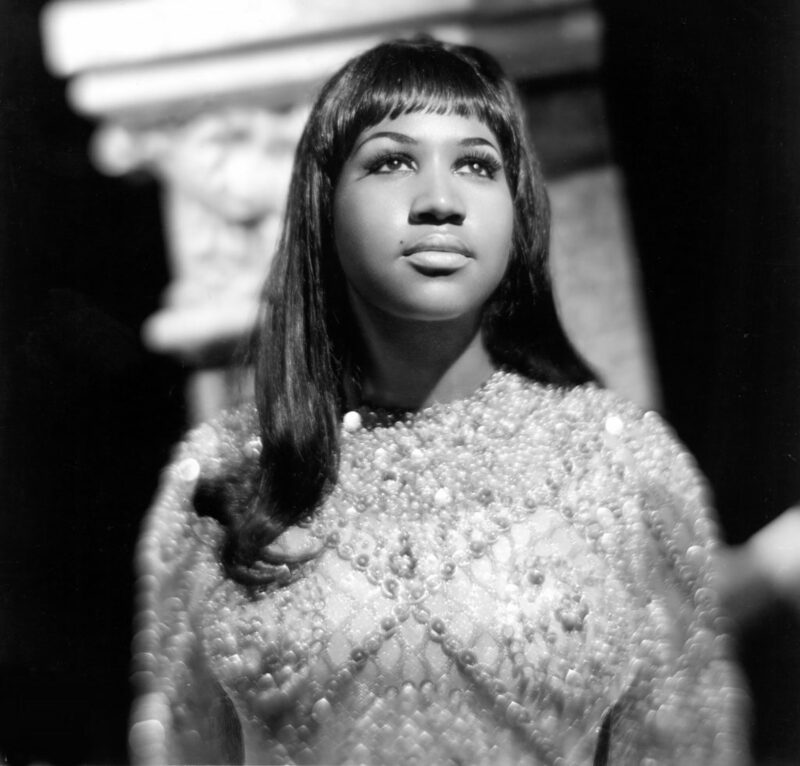 In 2003, after 20 years at Arista Studios, Franklin released her final album with the label. So D**n Happy featured the top-charting single, “Wonderful”. 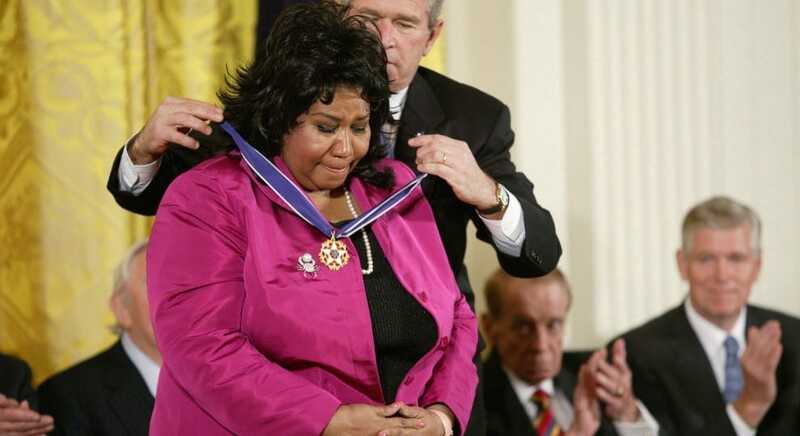 In 2005, the songstress would be awarded a once-in-a-lifetime honor when she was given the Presidential Medal of Freedom. 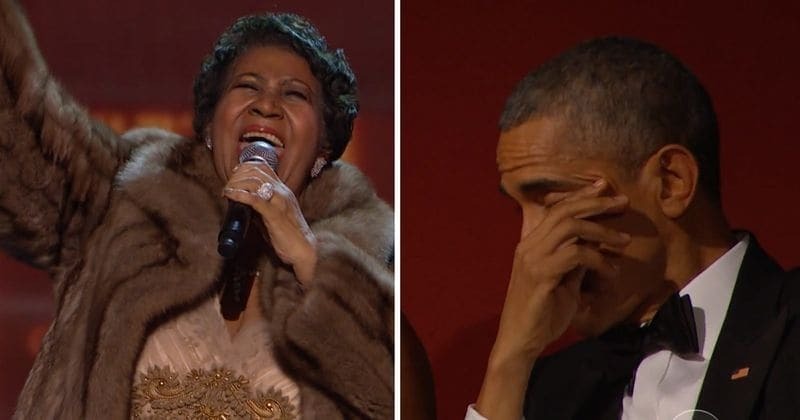 The moment proved to be emotional, as Aretha wiped tears of joy away from her eyes as President Bush awarded her with the medal. 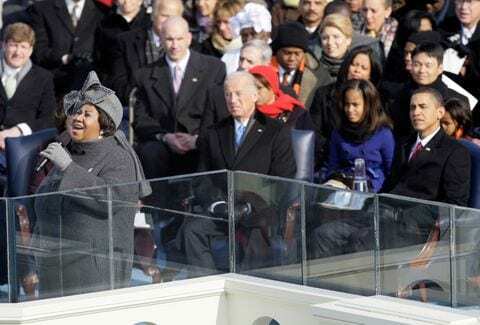 The superstar would once again make international headlines when she performed at President Barack Obama’s inauguration, singing “My Country, ‘Tis of Thee.” The world watched as the Queen belted out the spectacular anthem. 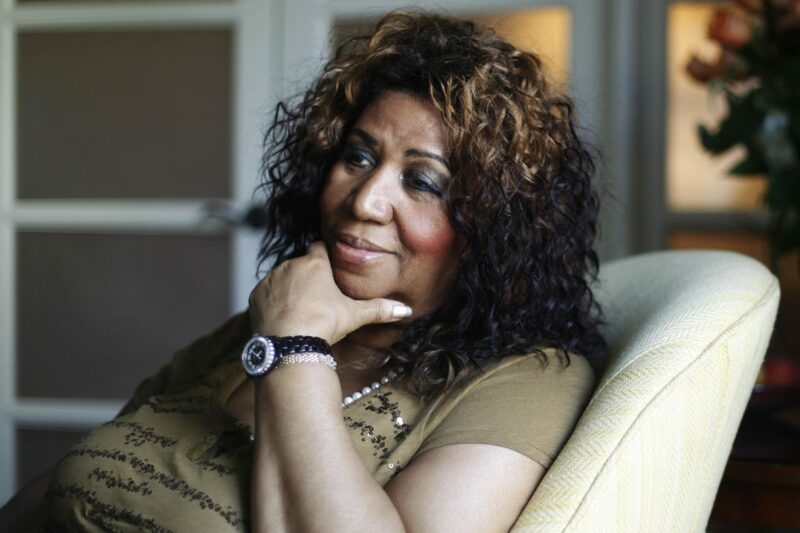 Few knew that Aretha’s health problems were beginning to take their toll on the iconic diva. In 2015, Aretha would again sing before a group of the world’s most powerful politicians at an event at the Kennedy Center Honor Awards. The diva performed her iconic hit “(You Make Me Feel Like) A Natural Woman.” She famously dropped her fur coat to the floor mid-song, inspiring a standing ovation. Tears rolled down President Barack Obama’s face as he watched on. 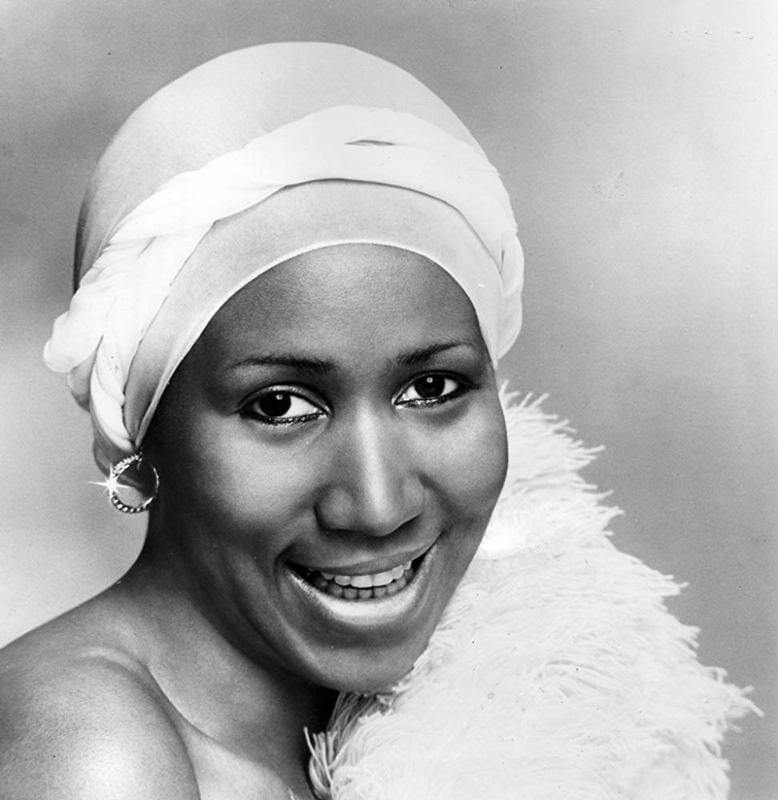 Despite continuing to spend time in the recording studio and onstage, Aretha’s later years became an increasing struggle. Ever since a stint in hospital in 2010, the star had intermittently had to cancel scheduled shows amidst her failing health. Though rumors of cancer swirled, Franklin and her representatives denied the illness was the cause of her battles. In 2017, Franklin canceled a series of concerts due to undisclosed health reasons. 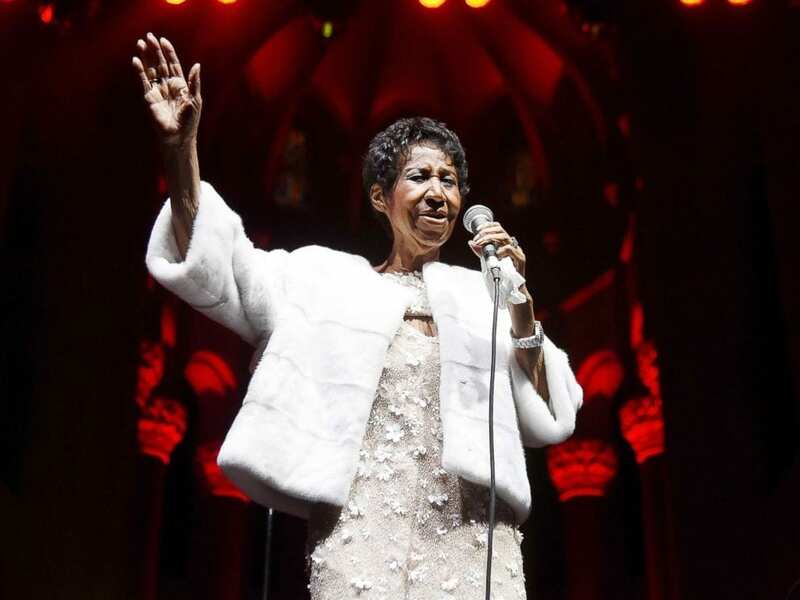 During an outdoor Detroit show later that year, she tearfully asked the audience to “keep me in your prayers.” Tragically, Franklin’s final performance was at the Cathedral of Saint John the Divine in New York City during Elton John’s 25th anniversary gala for the his AIDS Foundation on November 7, 2017. The songstress has become one of the best-selling artists of all time. She’s sold over 75 million records worldwide, producing and releasing 42 studio albums. She’s won a Lifetime Achievement award from the Grammy’s as well as a Living Legend award. She has received some of the world’s highest musical honors as well as earned two honorary doctorates in music. 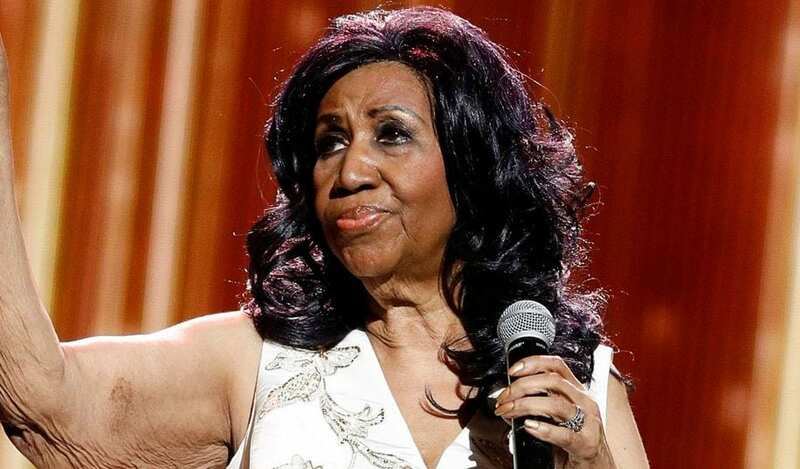 On August 13, 2018 news reached the media that Franklin was gravely ill at her home in Detroit. She was reported to be under hospice care and surrounded by friends and family who were lovingly committed to spending by the side of the beloved musical queen. Stevie Wonder, Jesse Jackson, and ex-husband Glynn Turman, among others, reportedly visited her on her deathbed to honor her as one of the greats. Franklin’s suffering would soon come to an end. 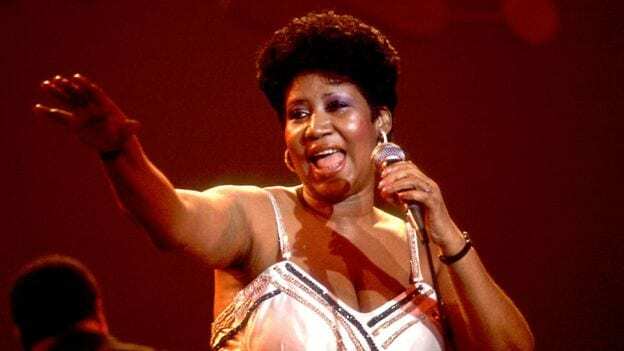 On August 16, the world would lose Aretha. The star reportedly succumbed to a long battle with cancer. Millions of fans as well as a long list of the most famous people in politics and the entertainment industry flooded social media platforms with heartfelt tributes to the fallen star. The world recognized her iconic place in history. Former president Barack Obama posted a lengthy tribute to the star, saying she “helped define the American experience.” Celebrated civil rights activist and minister Al Sharpton called her a “civil rights and humanitarian icon.” Elton John would end a heartfelt Twitter message with “Long live the Queen.” Diana Ross, Smokey Robinson, Barbara Streisand and Lionel Richie were among the other stars who honored Aretha’s passing.